Application: First, find the correct size for each nail, keep tab aligns with cuticle (use smaller sizes for best results). Then, lay out the 10 nails in finger order. Cleanse natural nails with prep pad. Lastly, peel off tab and firmly apply onto nails (applying thumb nails last). To remove: Gently peel off from sides or apply polish remover around edges, wait about a minute and peel off. I have tried imPRESS before and I enjoyed the experience, not so much of the design, seen here. From the reviews of others, not many are pleased with the lasting quality. I cannot comment on whether I agree or disagree because I never kept it on for longer than two days. I usually paint my nails at home. I was never fond of "fake" nails or going to a manicurist. There was no point. Growing up, Mom painted my nails and eventually I picked up the pace. And fake nails? I tried it on once, useless, unnatural and uncomfortable. I treat imPRESS as a temporary usage for times when my nails are bare and I need a quick fix. 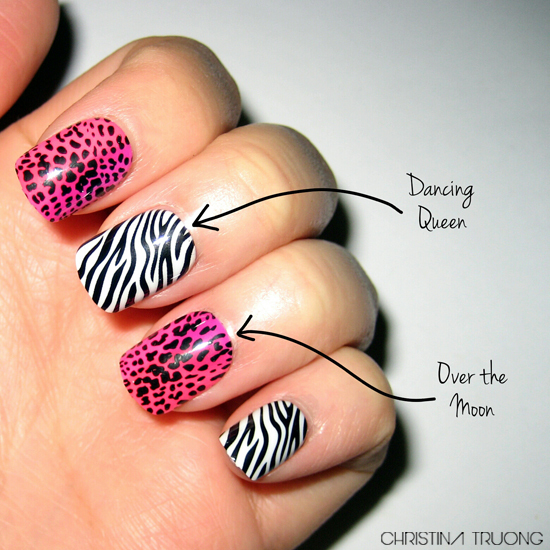 Especially weekend outings, I can stick on the nails and be on my way. By the end of the weekend, I can easily take them off and resume back to plain Jane nails for the week. Thus, my experience versus others differs. Many noted that it does not "lasts up to a week* (*when applied properly)" as stated on the packaging directly and are never repurchasing the product due to that sole purpose. I say, look on the brighter side. If you need to jazz up those nails in a hurry and don't have time to paint your nails, I say imPRESS is the way to go. As for designs, as unique as they look, I rather wear a solid colour than a pattern design. I love nail art, don't get me wrong, but in the most simplest form possible. The ones I received are a bit out of my league. Check out all the different designs below and comment on which is your favourite! Colour designs available for $8.99 and patterns for $10.99 at Walmart, Target, London Drugs, Loblaws, and more. Have you tried imPRESS Press-On Manicure? What were your thoughts? What design did you have on? *This product labels "Dancing Queen" on the packaging. I double checked with the website and "Dancing Queen" was a different pattern. I could not find the name for this particular design.